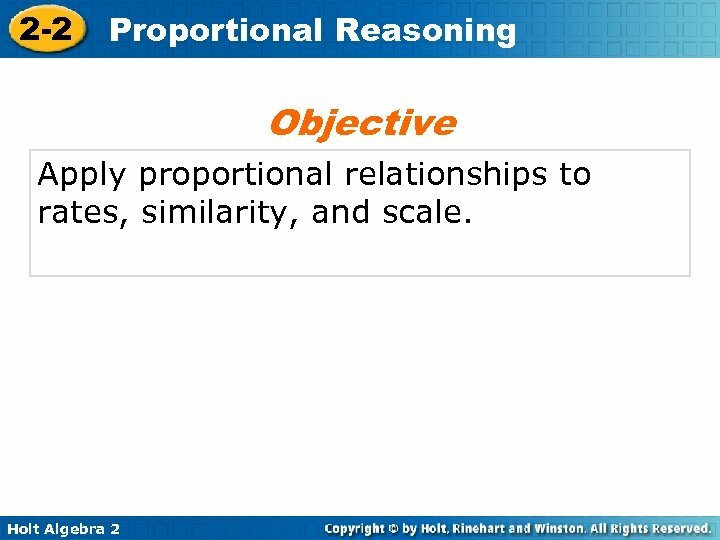 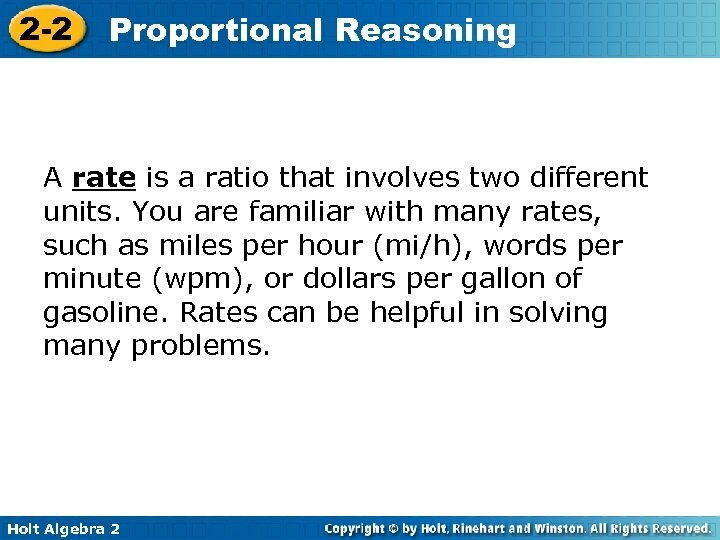 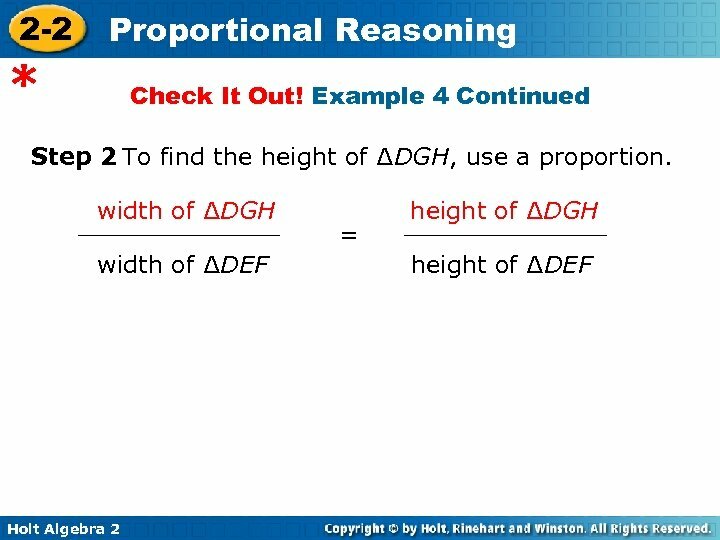 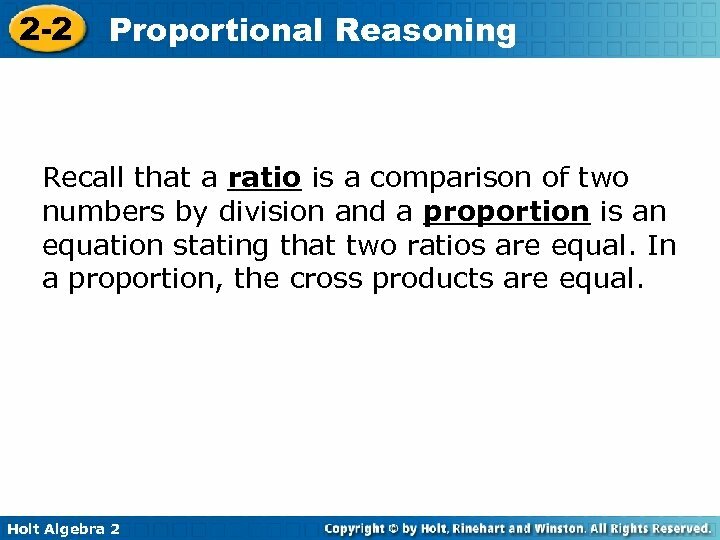 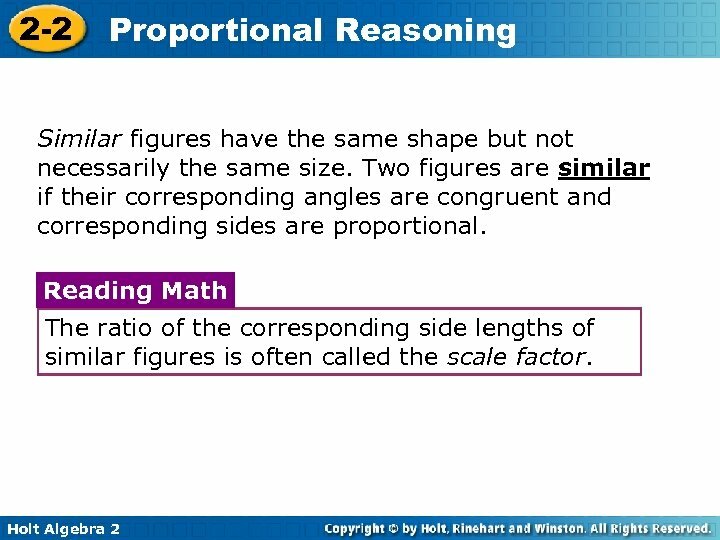 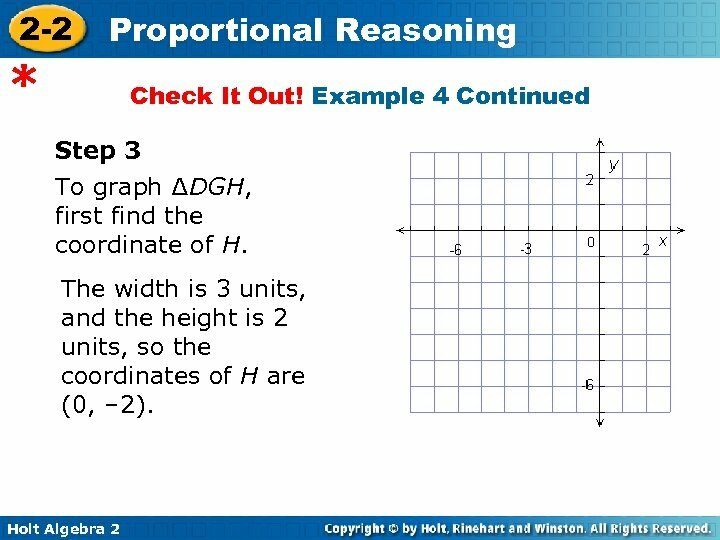 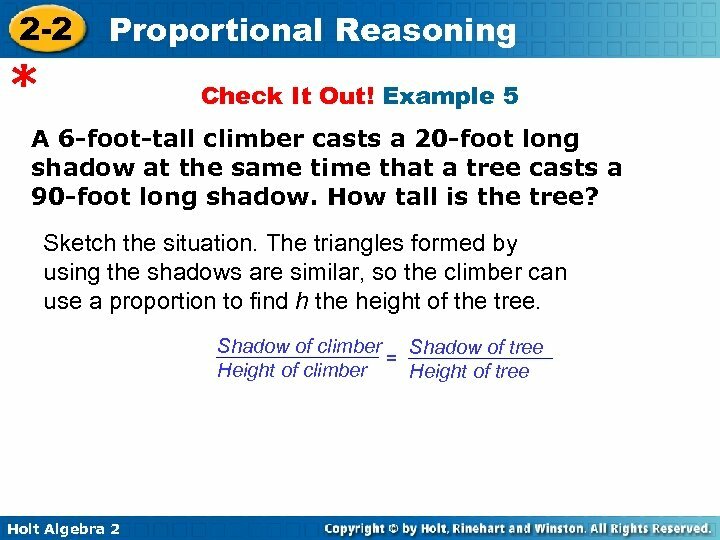 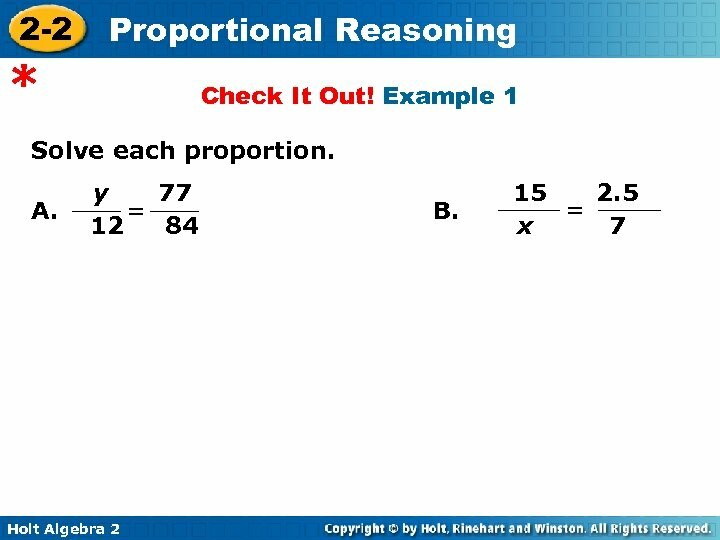 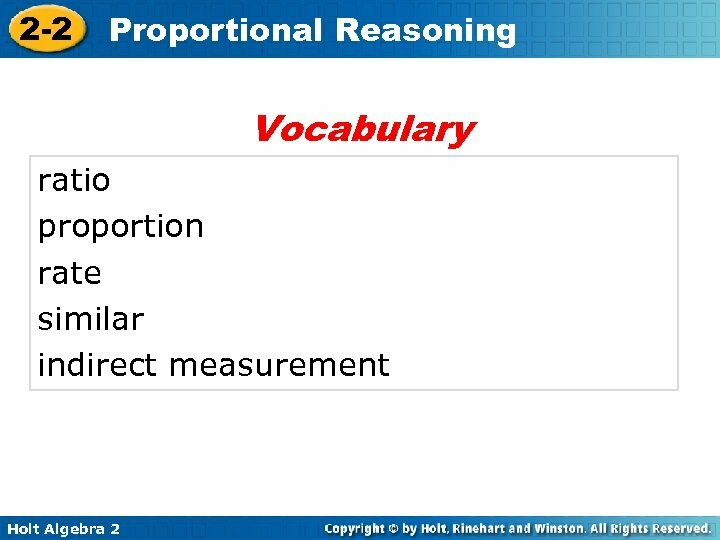 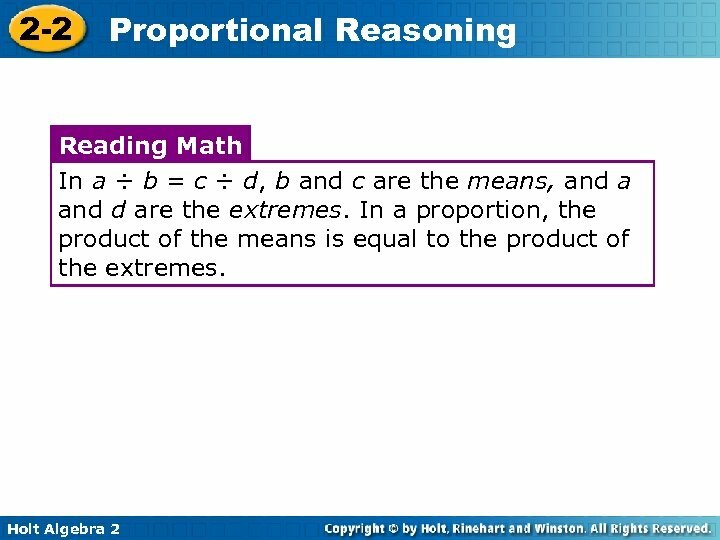 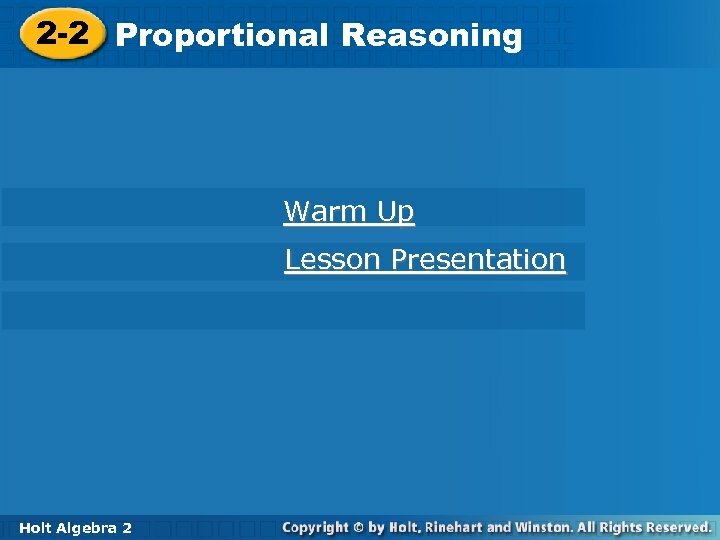 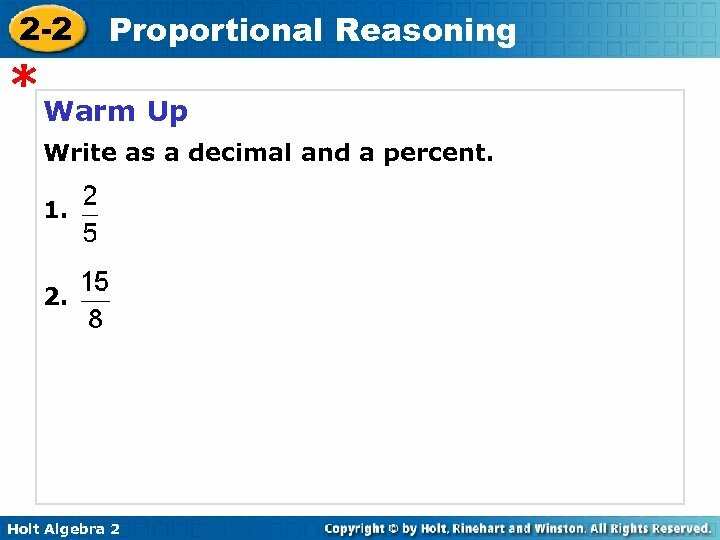 2 -2 Proportional Reasoning * Check It Out! 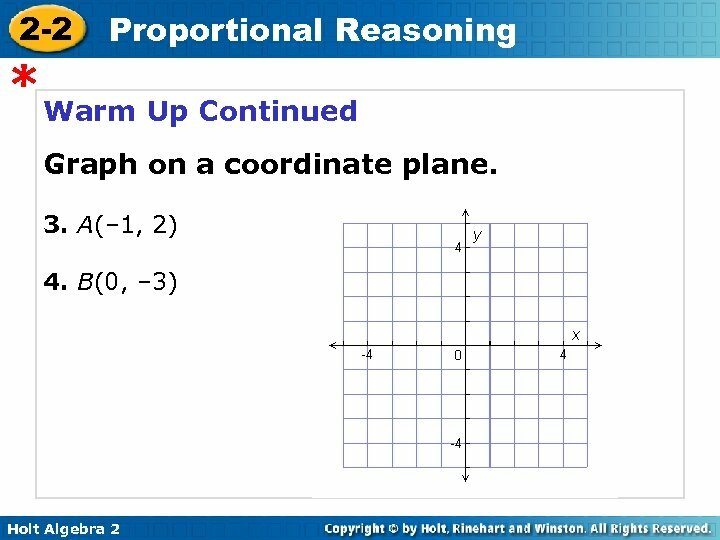 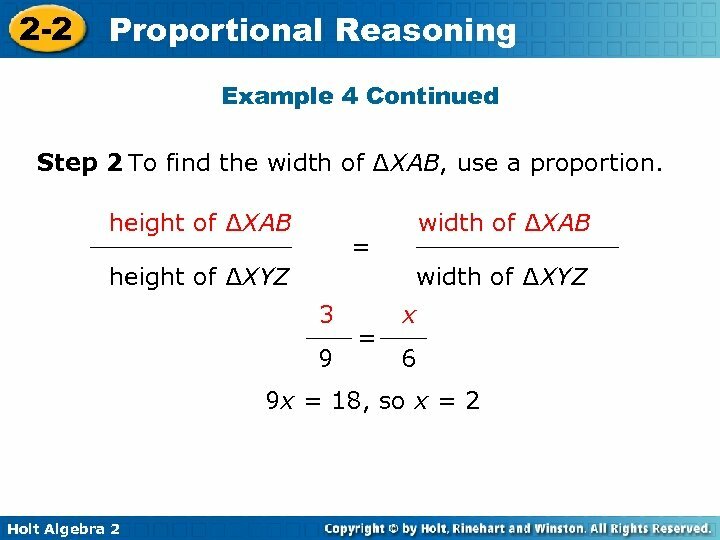 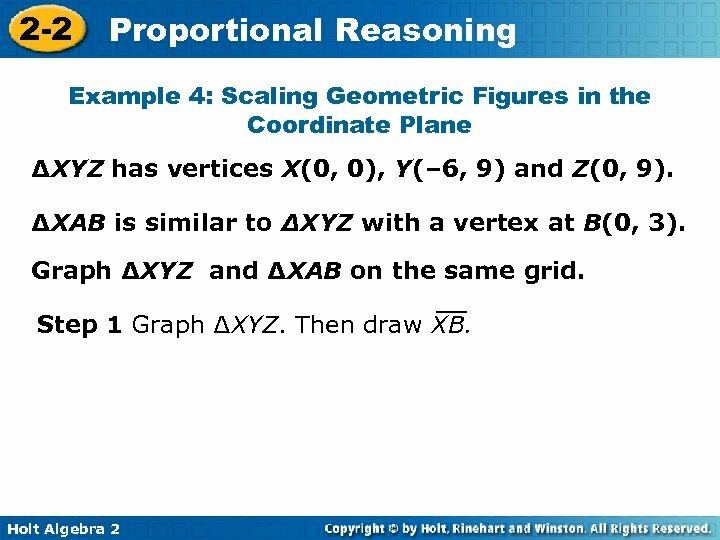 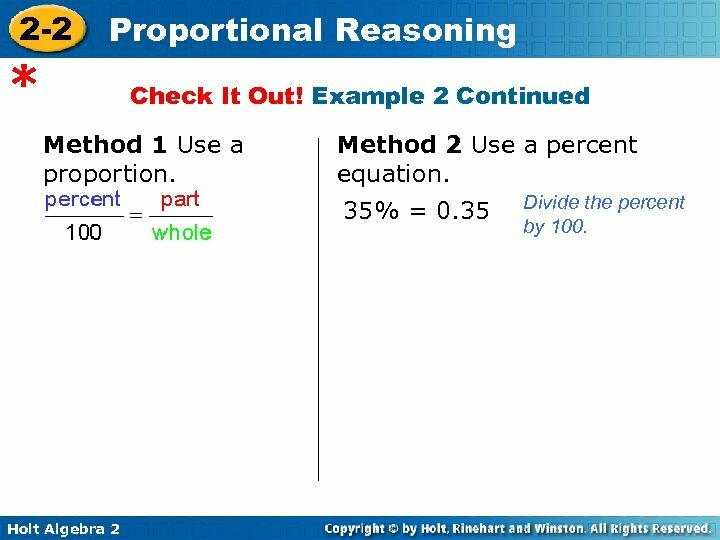 Example 2 Continued Method 1 Use a proportion. 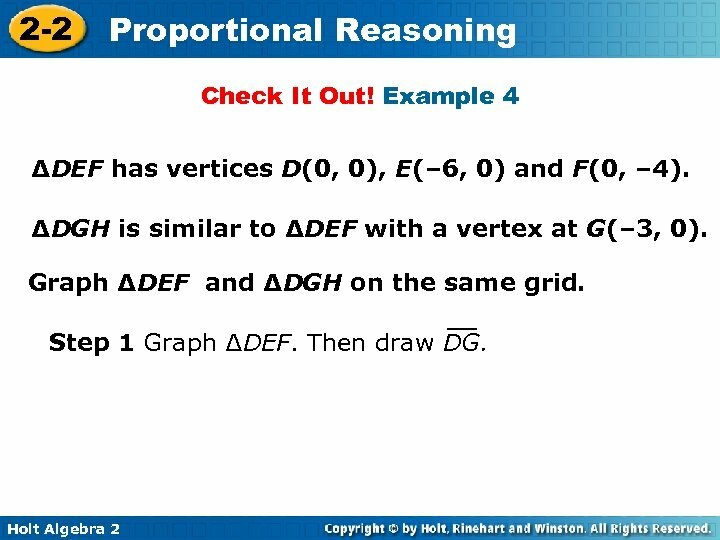 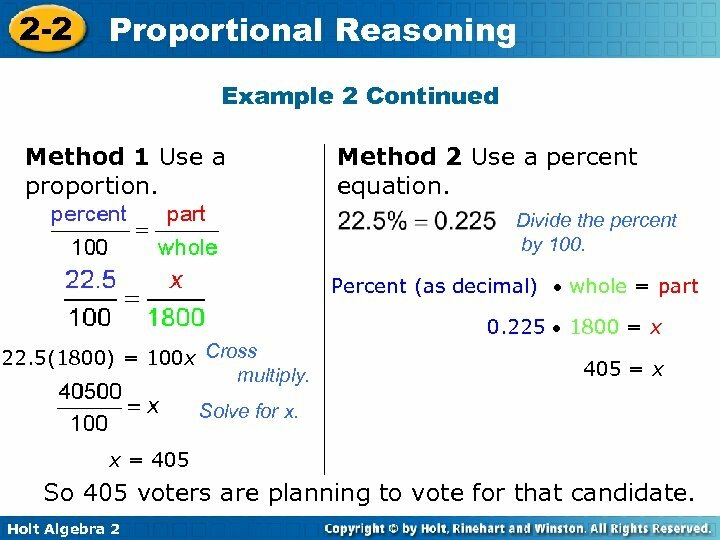 Method 2 Use a percent equation. 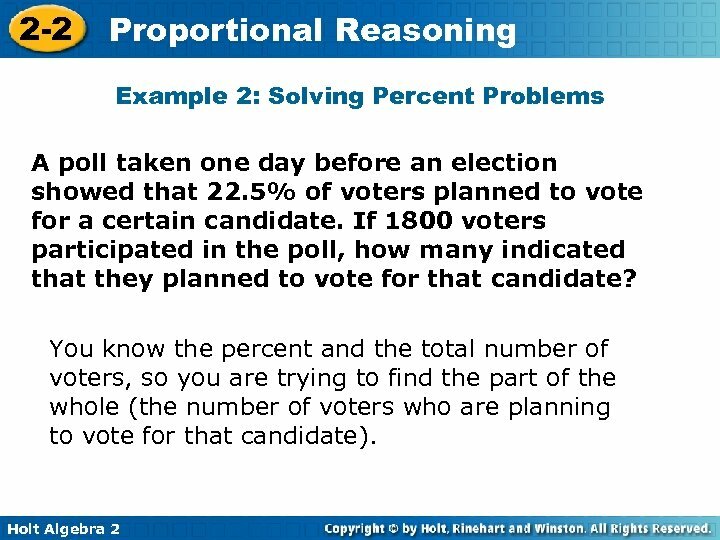 35% = 0. 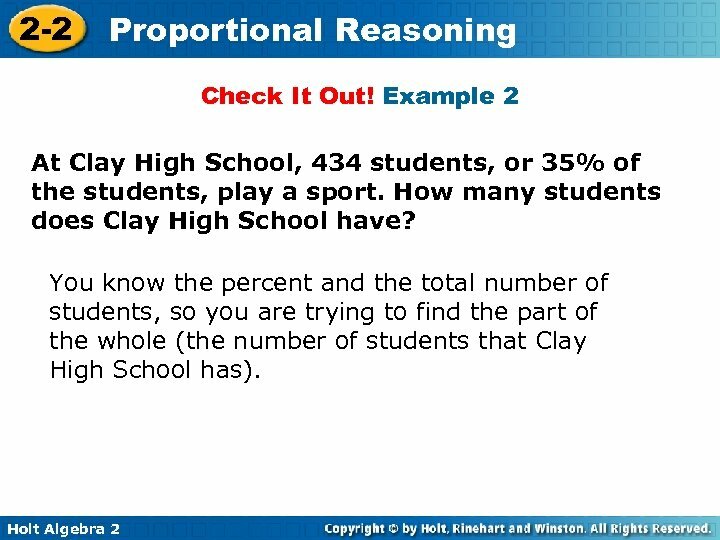 35 Holt Algebra 2 Divide the percent by 100. 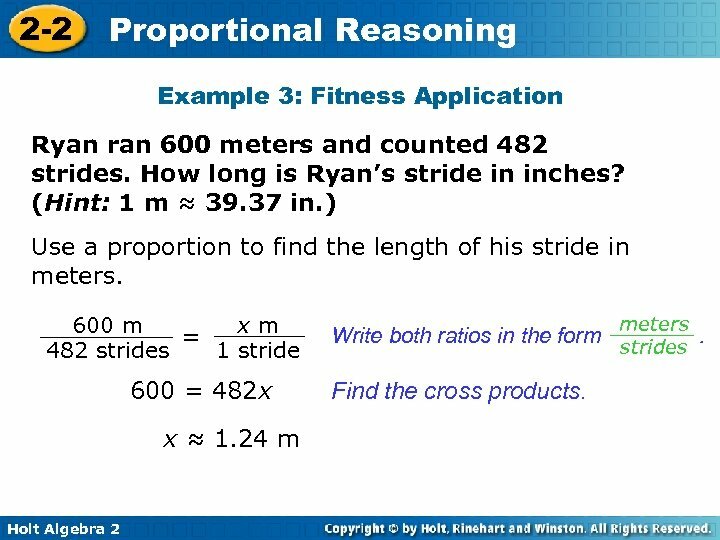 2 -2 Proportional Reasoning Example 3: Fitness Application Ryan ran 600 meters and counted 482 strides. 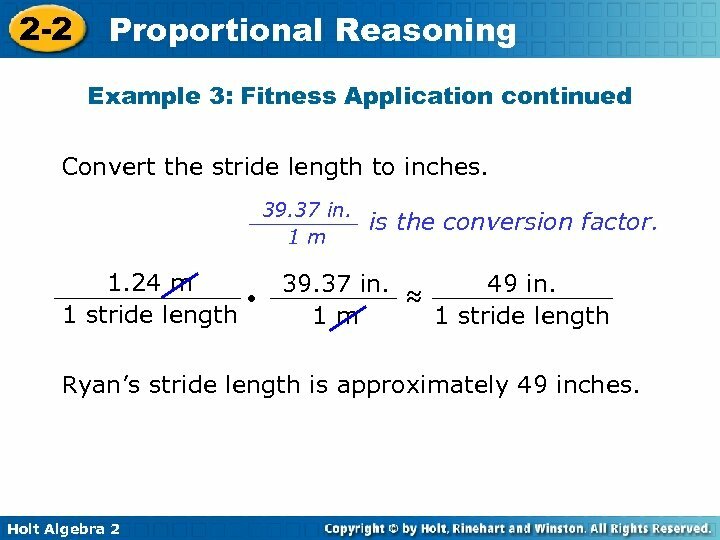 How long is Ryan’s stride in inches? 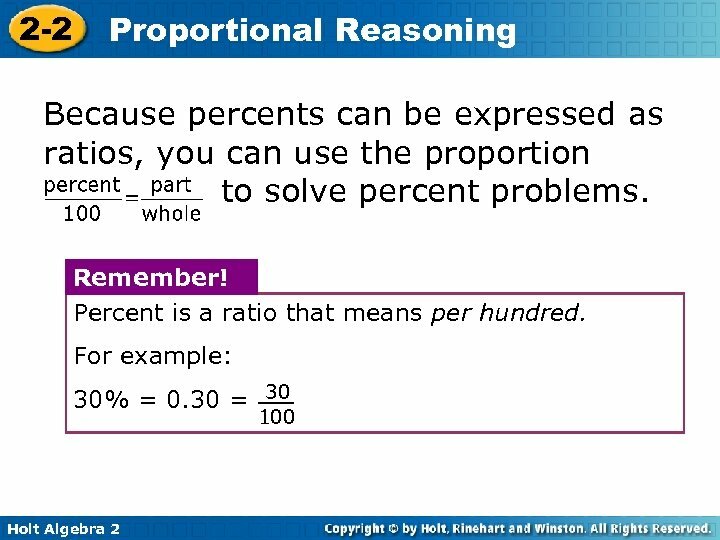 (Hint: 1 m ≈ 39. 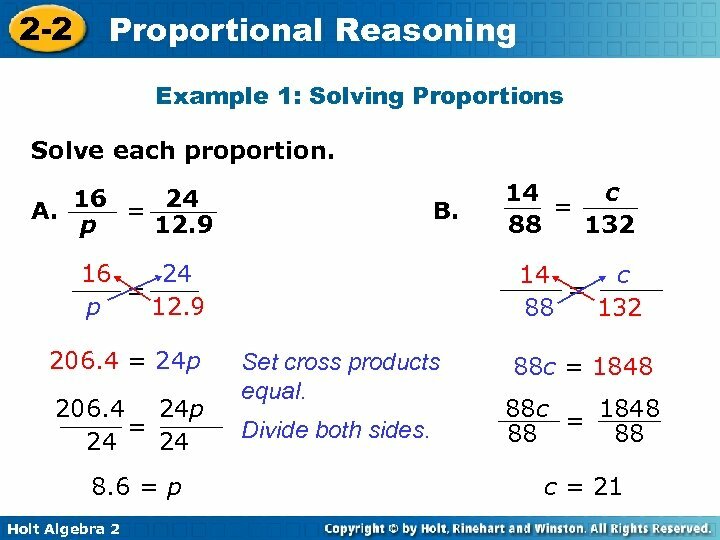 37 in. ) 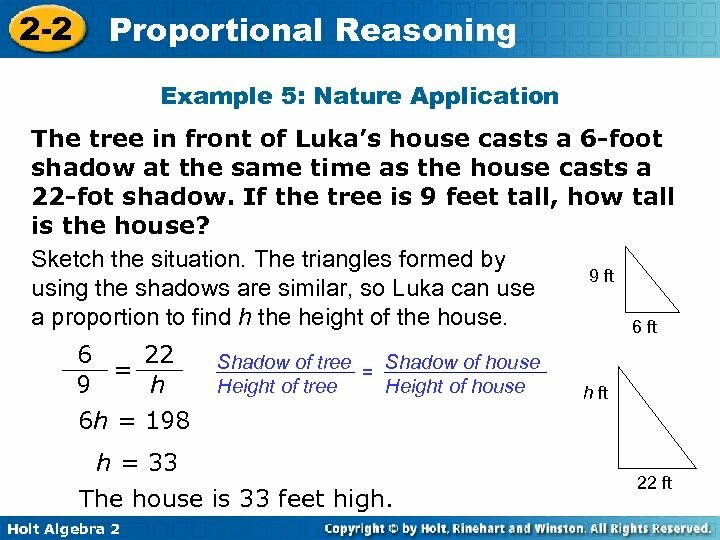 Use a proportion to find the length of his stride in meters. 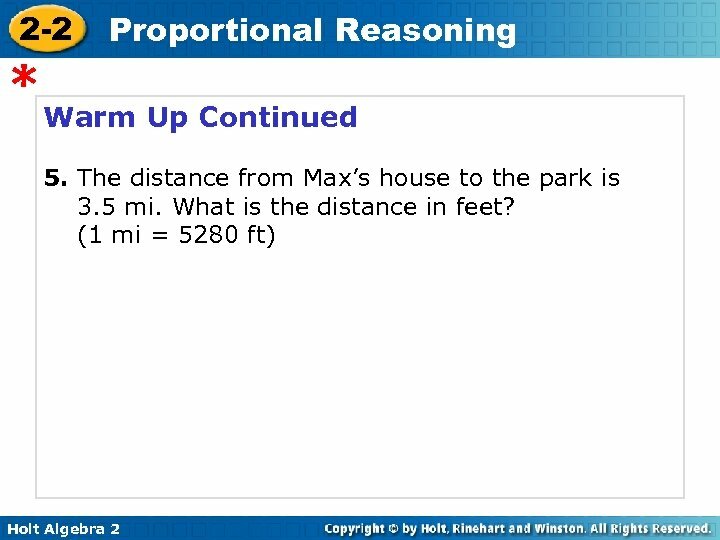 600 m xm = 482 strides 1 stride 600 = 482 x x ≈ 1. 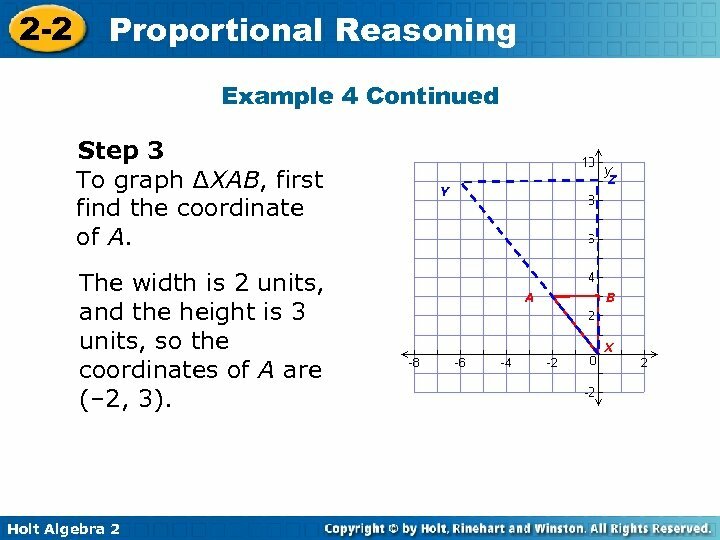 24 m Holt Algebra 2 meters Write both ratios in the form strides. 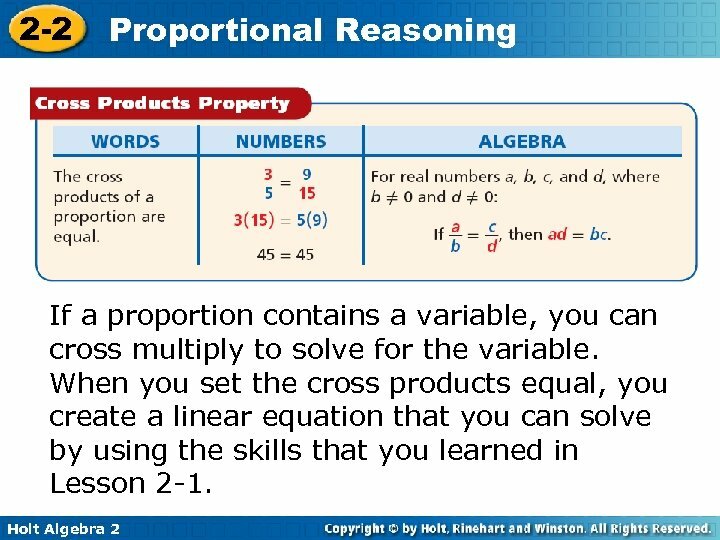 Find the cross products.